A long time ago, when the world seemed a different place and I was very young, my parents used to occasionally give me a small chocolate mouse. It was intended as a special treat so it didn’t happen very often. Each mouse had two pink eyes made of candy, a brown chocolate body and a long brown tail. I cannot recall whether or not the tail was edible. The problem was that because I was very fond of animals, I couldn’t easily bring myself to eat them, especially the heads. I always had a nagging feeling that it would cause them emotional distress. Fortunately, in later life I overcame these childlike concerns and if anyone offers me a chocolate mouse these days, I can eat it without hesitation, except of course the tail. Unfortunately, people rarely do. So it was with some delight that wandering in the supermarket last week, I found a box not of chocolate mice, but of animal-shaped biscuits. They are called, appropriately Two by Two and come from Ashbourne in Derbyshire. You can even buy a colourful tin in the shape of an Ark, containing biscuits in the form of monkeys, lions, kangaroos and elephants. Some of the packs even have a nursery rhyme or fable printed on the side. It is reassuring to know that in our troubled world you can still buy animal-shaped biscuits and it just goes to show that things can’t be all that bad. In case you’re interested, you can buy a small pack for Bt. 155 at Villa. I suspect that the French composer Camille Saint-Saëns would have enjoyed animal-shaped biscuits and possibly even chocolate mice, because in 1886 he wrote an animal-inspired work quite different in style from his huge output of symphonies, concertos, operas and chamber music. This is a work for small ensemble with fourteen short movements, each of which depicts an animal or a group of animals. 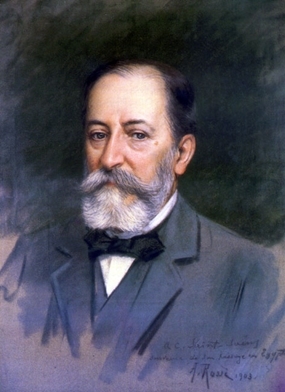 It must have given Saint-Saëns a great deal of amusement composing the music and he admitted that he wrote the piece just for the fun of it and intended it as a private entertainment for friends. The second movement, Hens and Roosters is a parody on a piece by Rameau; and Pianists (who Saint-Saëns obviously considers as animals) are heard painfully lumbering up and down scales. In Tortoises, the strings play an extremely slow and laboured version of the Can-can from Offenbach’s operetta Orpheus in the Underworld. The thirteenth movement, The Swan is the famous cello solo of the same name, known to generations of cello students. This lively performance by talented young musicians from Zagreb has excellent sound and video quality and it’s also available in HD, making full screen viewing not only possible but pleasurable. I noticed that the musicians all seem to be playing from photocopies, so perhaps times are tough in Zagreb. They probably don’t have animal biscuits there either, let alone chocolate mice. This is one of Prokofiev’s best-known works, especially among school children. It was written in 1936 as a commission from the Central Children’s Theatre in Moscow and Prokofiev managed to knock out the words and music in just four days. You probably know the story. It concerns a bird, a duck, a cat, some hunters, a grumpy and over-cautious grandfather and of course, Peter and the dreaded wolf. It’s written for narrator and orchestra and each character is represented by different instruments. There are countless recordings of the work, dating back to the 1940s. Almost every actor you can think of has recorded it including Peter Ustinov, Patrick Stewart (of Star Trek fame), Basil Rathbone, Sir Ralph Richardson, Boris Karloff, and Sean Connery to name but six. Even Dame Edna Everage has had a go at it. Unusually, in this video, the conductor and the narrator are the same person. Bramwell Tovey is a British composer and conductor who has been music director of the Vancouver Symphony Orchestra since September 2000. He does a pretty decent job as narrator and the musicians in the orchestra seem to enjoy themselves. It’s all good clean fun for young kids, even though one of the orchestral players bears an unsettling resemblance to the actor Anthony Hopkins, who played the role of the cannibalistic serial killer Hannibal Lecter in The Silence of the Lambs. Heavens, I am quiet exhausted after all that excitement. I’ll go and make a coffee and have an animal biscuit. And yes, I did succumb to temptation and bought a pack.